DRAWING GOD FROM DIRECT OBSERVATION opens tonight! Tonight is the opening of my exhibition Drawing God from Direct Observation at Seattle University’s Hedreen Gallery. A snapshot of an ongoing project that has been many years in the making, this show includes music, video, drawings, an installation of a miniature version of my library, and a slide lecture about just a few of the artists throughout history who have experienced “visions of eternity” and attempted to render them in physical form. Kelton Sears recently interviewed me for Seattle Weekly and posted a preview of the show here. See you there! 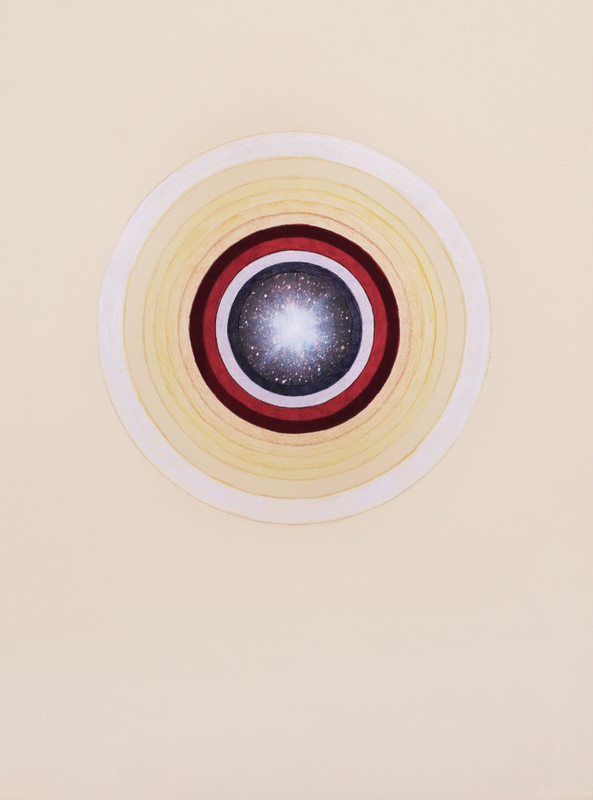 Emily Pothast, “Nova (Noumenon).” Prismacolor and collage on paper, 2015. ~ by emilypothast on February 22, 2015.